The new Mahindra Roxor seemed like the perfect off-road toy: side-by-side (SxS) four-wheeler modeled after the iconic Willys Jeep of World War II. Who wouldn’t want to play in the dirt in that? 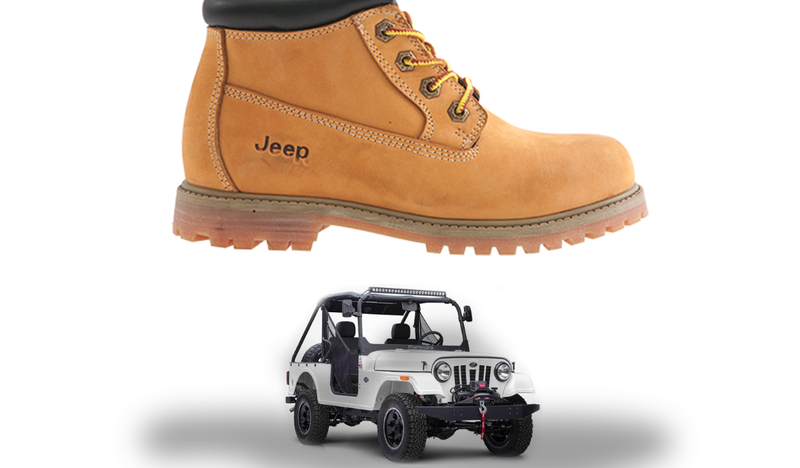 Evidently, one group doesn’t want that for you: Fiat Chrysler, which now claims in a complaint to the U.S. International Trade Commission that the Roxor infringes upon the intellectual property of its iconic brand, Jeep. And it doesn’t want the Roxor sold or even advertised in America. FCA says Mahindra’s unapproved imitation of these features cause confusion and are likely to “deceive potential consumers and the public” about the connection between the Roxor and Jeep brand, going on to say that Mahindra marketing their Roxor as being “modeled” on the “Willys Jeep” isn’t helping with that confusion. That damage is a result of Mahindra’s foreign cost advantages it gets by building the parts in India and shipping them to the U.S., and by being part of such a huge company with such enormous manufacturing capacity, FCA claims. These could allow the Roxor to “undersell” the Jeep Wrangler. According to the Italian-American company, some consumers looking to purchase an off-road vehicle may opt for the off-road-only side-by side instead of the significantly more modern, street-legal Jeep Wrangler. FCA US is requesting that the International Trade Commission open an investigation of Mahindra’s intentional trade dress and trademark infringement of our Jeep brand related to the import, distribution and sale of the Roxor product in the U.S. Specifically, we are requesting that the ITC issue an exclusion order to prohibit Mahindra from importing the infringing product into the U.S. We cannot comment further at this time as this matter is under review by the Commission. We understand that a complaint has been filed by FCA with the United States International Trade Commission (ITC) against Mahindra. Mahindra has not yet been served with the complaint and we prefer not to comment at length on the dispute at this time. However, we have reviewed FCA’s core filing and find it to be without merit. Mahindra has a historic relationship and agreements with FCA and its predecessors that go back seventy years. The relationship began in the 1940’s with the original agreement with Willys and continues to this day, with the most recent agreement executed with FCA (then Chrysler Group LLC) in 2009. Our actions, products, and product distribution (including ROXOR) both honor the legacy of the relationship and the terms of our agreements with FCA. Mahindra has been co-existing with FCA (and the Jeep brand) for over 25 years in India and in many other countries. The ROXOR is a derivative of Mahindra vehicles distributed in those markets. Based on these agreements and our history, we believe that FCA’s claims are baseless and Mahindra is well within its rights to both manufacture and distribute the ROXOR off-road vehicle. Let’s hope this claim doesn’t throw a wrench into what should be one of the most fun off-roaders we’ve seen in a while. Correction: Friday, Aug 3, 2018, 13:30 p.m. ET: This story originally said FCA presented these claims in a lawsuit. As of now, it appears to just be a complaint to the U.S. International Trade Commission calling for the organization to open an investigation into the matter. This post has been updated with new statements from Mahindra.